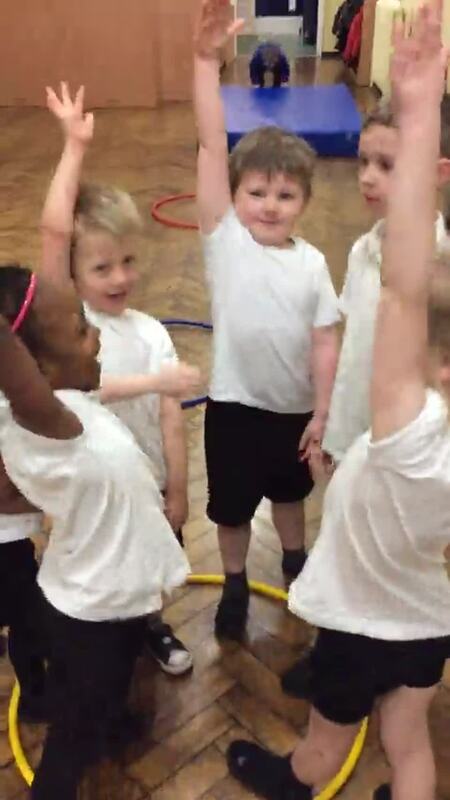 PE is a very important part of the Reception curriculum. Every Friday the children have PE with Miss Newby. Recently the children have been playing lots of team games, developing different ways to move around the hall and how to balance with control. The children will have at least nine focus books throughout Reception year, the children will take part in various activities and learning tasks linked to the focus book. Recently the children have really enjoyed role playing the story 'Peace at last' and creating story maps. In Reception class the children are encouraged to complete independent challenges during 'free play' time. The challenges each week are linked to topics and themes and encourage the children to practice and consolidate skills. The 'Brew and natter' session held just before Christmas focused around healthy eating. Parents took part in a sugar experiment and created healthy snacks with their child. All the children have been working hard to develop their number recognition and touch counting skills this term. The children have started to use lots of concrete materials to support their mathematics such as Numicon, counters, compare bears, ten frames and cubes. STORY TIME WITH FATHER CHRISTMAS!